Time is one of those commodities that we tend to take for granted. When you’re a kid, it feels like time is so slow and then one day you’re a grown up and time flies past you faster than you can keep up with. When you stop to think that the seconds and minutes that tick by every day is time that you can never get back and that there are bills to pay and mouths to feed (even if it is just your own), time suddenly becomes precious. Especially is that the case for the entrepreneurial Web Designer. Especially is that the case for the entrepreneurial Web Designer. When you’re working for yourself or even if you’re freelancing with a team on a project, every minute you spend on said project is less money in your pocket one way or another. Even if you’re not being paid by an hourly rate, tracking and managing your time is still important if you are ever going to get anywhere with your business. There are a few reasons why you should track your time. Even if you’re not billing a client by the hour, tracking where you’re spending your time on a project can be eye opening. Perhaps what you thought was only taking you a couple of hours is actually taking you more time than you would like to see. When you start to see discrepancies in your workflow, you can then start to tweak what is working and what isn’t in order to increase your profit. Another reason for keeping track of your time is because some clients will request it when they are billing you by the hour. Many people like to know just how your time is being spent on something that they are paying you for. When you are able to turn over an orderly timesheet, they are usually more than happy to keep coming back to you. Keeping track of time can also keep you more productive. Not only does it help you stay focused, but it is also a great motivator when you start to see how much more efficient your time is spent when you’re mentally on track. Below is a list of some of the best time tracking apps that you can use when working on your own and even when you need to collaborate to create something amazing. One of the best tools I’ve personally come across and use from time to time is Toggl. Not only does it have some great features, but it is also free to use. The software offers a one-click time tracking option so that it’s simple to keep track of when you start and stop a project and helps you keep an accurate time sheet. However, the application is more intuitive that that. Toggl also has iPhone and Android apps, as well as desktop applications for Windows and Mac and has the feature of tracking your time when you’re offline so that you can literally keep tabs of your time no matter where you are. There is also a handy Google Chrome tab that you can use to track and sync your time when you’re working on something in your browser. To add to that, it’s also expandable meaning that if you’re working with a team you can still use Toggl in a team setting and integrate into other management helpers like Trello or Asana. For something that is free, it is seriously impressive and would be the first place I’d recommend when looking for a solid time tracking software. TimeCamp is another promising application that works great for both the solo designer and large teams collaborating on a project. The software is full of features and integrations that you may not even know you needed but would be happy to find out was there. The TimeCamp’s dashboard is clean and rather easy to use when you’re not trying to dive into deep. Learning the ins and outs of everything the application has to offer will take a bit of time to get the hang of and setup if you’re working with a larger team. Surprisingly, though, TimeCamp has an extremely affordable pricing structure that costs less than what most of spend in coffee every week. They have a Free plan that includes 1 user, time sheets, mobile add desktop sync, and reporting. After that is the Basic plan for $6 and the Pro plan for $9 and each has an increased set of abilities. At that price and with so many features packed into a single app, TimeCamp may be better suited for you if you’re going to be expanding your projects into team collaborations. If you’re looking for something with fewer bells and whistles, then CloudTimr may be more on track with what you’re looking for. The free cloud-based time tracking application can be accessed and easily used on your desktop or mobile device so that you can track your daily activated no matter where you are. The dashboard is very simple and creating your tasks is also easy. You can create Groups using a hashtag, add things in the built in to-do list, and receive notifications. As I mentioned before, CloudTimr is free to use and is a simple, straightforward way to keep tabs on your time and activity. Easy Accessibility | Use in a browser tab, download the desktop application and use it there, or track your time while you’re on the go with the mobile app. Customized and Flexible Report Analysis | You can create reports based around the custom structure that you built and then save those reports into templates for you to quickly and easily access. Pricing for Clockodo is set at $8 per month to unlock everything the application has to offer. If you’re going to be adding users/team members, then you’ll be looking to tack on an additional $5 per extra member you have on Clockodo. To use this just for yourself would make sense and would be rather affordable, but if you’re going to be working with more than a few people on a design project, it would make more sense to use another software that offered a bit more for less. Personally, I really like the sleek design and feel of the GetChime tracking application. But all design aspects aside, this free app has some great features that make it easy to work with. GetChime also has a few other products in its family to help boost overall productivity and which also happen to be free. This app looks like it would be great to work with if you’re going solo and easy to work with when collaborating. 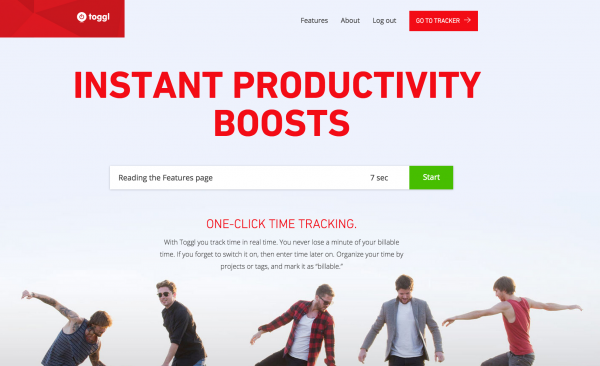 To wrap up our list of the best time tracking applications for web designers is Tick. Tick offers many of the same features of the other apps, but with one really cool add-on called Time Budgeting. This feature lets you set a time budget — the amount of time you allow yourself to work on a given task and/or project. The time tracker dashboard makes it easy to create projects and tasks and with the Chrome Extension, mobile app and desktop app you can track your time anytime, any place. Tick also has the ability to generate reports that can be grouped and sorted together by client and then export them to programs like FreshBooks, QuickBooks, and Excel. Price for Tick starts at $19 for 10 open projects and goes up from there depending on the amount of projects you have going on at once. Time tracking is a great way to help your be more productive and tighten up in areas where you’re spending too much time. If you’re working with a team on a project, then using one of these dashboard can help consolidate a lot of your work for you. Weather you bill by the hour or the project, tracking your time could just be one of the best things you started doing for your business. Do you guys have any experience with tracking your time? Are there are applications that you use and want to share with the rest of the community? Let us know in your comments below. Ariel is a Hubspot Inbound Certified blogger, copywriter specializing in autoresponders, and social media manager for hire. She enjoys testing SaaS products, diving into Twitter analytics, and reading Jane Austen novels. When she's not typing away on her Mac and drinking copious amounts of coffee, she enjoys spending time with her amazing boys. GetChime or Toggl seem to be good options if you don’t want to pay for a time tracking application from the beginning. I will give it a try, thanks for your suggestions. Thanks for the review! I tried the tools you mentioned, but then a friend of mine suggested Saus (https://saus.us). So far I am loving it. It makes it very easy to log your time and see how your time is spend per week. Maybe you could have a look at it as well? Saus has some very cool looking features, but it’s missing invoicing. Hopefully as saus matures it will add that. Love the clean look. Could you please suggest a Calendar Plug In too…. a simple one. I also would love a review of Calendar Plug-ins! Thank you for all the valuable posts, Ariel! Hi guys, I’m not sure how useful this will be for you but you might want to check Evernote. I mostly need it for keeping track of my projects but it has a reminder too. I can (try to) explain why I gave up on planning and calendar apps if you want me to. Evernote is not really good solution compare to OneNote. I tested Evernote with premium account properly on Galaxy Note 3 and on Windows 8 PC. And if I have to be honest I really can’t understand popularity of Evernote since the OneNote is incomparably a lot more powerfull software with many more futures (on desktop/laptop) and much more user friendly on any platform. And OneNote is even completely free from above a year ago. And for tracking your meetings, etc. you can connect it with Outlook and use it together, but I don’t using it this way since I schedule is not so complicated. But I love its use together with Excel and I hoping for better future implementation of Excel in OneNote (hopefully there will be some great improvements soon with release of Office 2016). RescueTime is pretty nice. Just started with it, but so far I can’t complain. I’ve been using Toggl for 2 years, and I love it. It has everything I need. Time Doctor is a great one too. +100 for Harvest. They rule! Harvest is one of the most expensive and doesn’t seem to add anything that cheaper or free services offer. Why is it worth the cost for you? Thx. I’ve found my billing increased quite a bit when using a timer. Prior, I used to guess how long I spent or wrote down times in a notebook (often rounding down). The above mentioned programs all sound interesting if only they included an invoicing option. Thanks for the article. We use paymoapp.com, not only for time tracking, also for managing the projects in our agency. We love the support and the spanish version. We use Harvest… it also integrates into Xero for billing. Check it out! +1 for Harvest. We’ve been using it for about 9 months and love it. Integrates with Paypal and Stripe, and allows us to bill clients as well. It also integrates with Asana, which we use for project management, which is a big plus. Nice find Timo… I may look at that for time management for us next year. Costs seem pretty competitive. Cool article. We started using worktimer.co.uk and it does the trick for us for now but we’ll have a look at some of these. It really has helped shape our business model and help our clients understand the true value we’re adding to their business. Great article…but check out ManicTime (www.manictime.com). I randomly found this AMAZING program one day when search high and low for someting to track all of my time. ManicTime is super lightweight and simple and it tracks every program, document, and auto tags everything I do on in a multitude of sortable ways…even down to the firefox tab, which is key for us multitaskers. I can also search any period of time for a term and tag them all in bulk and there is also the ability to add custom code to it for various purposes too. I have used Manic Time… But now use easy prog NkTimeTracker. It has “forced breaks” and “focus (do not distract)” modes. I strongly recommend Zoho for both time keeping and invoicing. To my mind both functions need to work well together. Very reasonably priced. I’m going to bookmark these resources to be on the safe side. So far, I’ve been happy with Harvest. I primarily use it for time tracking, but it has invoicing and expense tracking capabilities. It also connects with QuickBooks, which I use for the latter two needs. Give Harvest a look at http://j.mp/getharvestapp. I have used base camp and the ancient, opensource foot solider dot project so far. It would be fun try these out especially Toggl. do any choices here keep track of what exactly you are doing during the time, sort of like a browser history? I found tracking my time to be detrimental to my work process. As a designer, when I track my time I am always worrying and thinking about how much time I am spending on a project rather than thinking about how to create the best end product I can. I’ve been using Time doctor for some time now and it is just a really great tool. I’m glad I’ve found Daily, the (Mac only) time tracking app by Niels Mouthaan. Other time tracking tools usually require you to manually start and stop a specific timer which I tend to forget. Daily works differently, every now and then it asks what you are doing and generates remarkably accurate timesheets from the collected samples. I use the Time Master & Billing App. The UI is a bit old fashioned, and is only a mobile App so no desktop or web interfaces, but works really well. Allows multiple clients and projects and includes both time tracking and expenses. Can add invoicing based on the time tracking and expenses generated, and backs up to dropbox. You might also want to include Time Doctor, Ariel. It’s a time tracking / productivity tool that’s been used mostly by freelancers, remote teams and even huge companies. I am also using Time Doctor for time tracking. Perhaps can also include that in the list or probably in your next review – it’s a great tool though! I use Timetracker by CreativeWorx (http://www.creativeworx.com/). Because I handle multiple clients concurrently, and need to jump back and forth between files and clients, I kept forgetting to stop and start timers. TimeTracker has a plugin for Photoshop, Illustrator and InDesign, which allows me to assign all of my files to project codes, so whenever I switch to a new file, or a different program, my hours are automatically logged. I barely have to think about it. It’s actually kind of insane. It doesn’t work perfectly, but it’s really good, and by far the best thing I’ve found. You can output your timesheet in CSV format, which imports into Excel or Sheets fairly nicely. They don’t have invoicing yet, or the ability to plug in your hourly rates for each project, but they tell me it’s in the works. Good tech support, too. Big fam of Paymo. It’s free (time tracking, PM, and invoicing 1x month). But if you need more projects or more than 1 invoice a month, it’s only like $5. Has a timer too. If you’re looking to track desktop activity for programs, finder, browser tabs and even servers within FileZilla or inspector such as Firebug, I’d check out Timing. I’ve used it for years and have yet to find another app that I’m just as satisfied with. I signed up and downloaded 7 timing apps yesterday, all of which failed when it came to functionality. Specifically seamless tracking, without requiring consistent management and extra time allocation for project management. I don’t like web based applications whatsoever, so that definitely had a play in my research. So many apps nowadays are just stuffed with filler graphics, romance copy and witty sales points. The hip one page site talks a big game, pushes a sign up, flashes pretty colors, some hover animations and a few transparent icons.. and then *finally*, after 20 minutes, you learn that it’s UI actually looks nothing like the website, nor does it live up to the features promised by it’s parallax scrolling slider. Ya, that one with the video background! Just hogwash. Timing’s simplistic UI, detailed data capture, auto sorting via learned paths and uninvolved project management is really what makes it the winner for me. At least right now. I do wish the developers would release an update for the UI graphics and possibly include a few additions to the functionality (project/task notes, time revisions etc.). However, it seems that’s not something that’s going to happen soon, since the last update was January 2014. Very disappointing. I did email them an inquiry about it though, so I will update this upon their response. If anyone comes across another app similar to Timing, that tracks activity just as in depth, I’d love to know. Not sure if I’m the right type of user for timetracking apps (I’m not a freelancer) but I actually use two apps. For time tracking purposes I use primaERP (www.primaerp.com). Similar to Saus, primaERP isn’t really mature app but their support is awesome and it has everything I need. I really really really recommend it. For keeping track of what I have to do or what projects are on I use Evernote (www.evernote.com). It has everything I need including a reminder/planning or cross device synchronizing. This app saves me a lot of nerves. Highly recommend if you have more simultaneous projects. Free versions of both apps are ok for what I need. I would like to add one more useful tool to the list of products i.e. Invoicera. It’s an online solution helps to manage tasks and keep the track of time spend on each task more efficiently. It is a feature rich solution helps to increase the productivity of an individual as well as the team. Thank you so much for including Tick in your roundup! NutCache is awesome! It’s free, online, supports multiple companies, multiple users, invoicing, payments, estimates, budgeting, tax and has fabulous reporting features. I have hunted around and this was the only free app that I could find that supported multiple users – this is essential for me because we are a company of 3 designers and we all need to log our time against projects. I can then pull a combined time sheet for a job/project, not just for a single individual. It also has a free standalone tracker app for your phone so you can track time onsite, away from your desktop browser. There is a paid “PRO” version, but it doesn’t offer that much more. The free version is very complete. Ariel, any personal recommendations for a startup of 14 people looking to track project time, attendance, time off and expenses all together? I would recommend http://www.emplotime.com it hasn’t the best design but is easy to use having a web time clock and many reports that help improving the business time tracking while saving money, since it is really an inexpensive solution. Sitiata provides simple Time tracking & Task management services.Using the task service will allow you to manage your team’s tasks throughout their life cycle. The task management service lets you create, update, delete, prioritize and assign tasks. Ariel, great list! 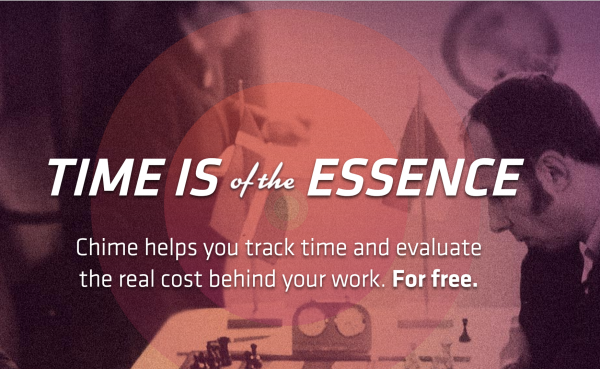 When it comes to time tracking I use http://moneypenny.me/. You can either track your time on the web-app or on your iPhone (an Android devices as well). Further, you can track your expenses on the go. And it’s all synchronized – works brilliant! I hope it makes it into your list sometime in the future. I would like to use a time-tracking software where I can create a set of pre-defined tasks and would like to associate users to them. To be clear, I don’t want to enter the same tasks over and over again.